Sandip Walunj is a Professor of Computer Engineering in Sandip Foundation's Sandip Institute of Technology and Research Center, Nashik. He obtained his Diploma in Computer Technology from J.C.E.I.O.T College, Kuran,Pune in the year of 2000-2002. During his diploma life he stood 64th in the merit list of Diploma in Computer Technology, MSBTE Board, Mumbai. On the basis of this he got selected in one of topmost College - Pune Institute of Computer Technology (P.I.C.T), Pune. He got passed out in the year of 2005 from this renouned Institute obtaining First Class in B.E Computer Engineering. He started with his career by working in IT industry for 2.1 years as a Software Developer in .Net Technology. Here he also did a Microsoft Certification in ASP.NET under C#.NET and is a MICROSOFT CERTIFIED PROFESSIONAL by scoring 1000 out of 1000 marks in this certification exam. As having keen interest in teaching, he switched his career line from IT Sector to Education Sector. In education sector, he first worked as a Lecturer in Computer Technology Dept. of K.K.Wagh Polytechnic, Nashik for 2 years. There after he switched to Engineering College at Sandip Foundation's, Sandip Institute of Technology and Research Center, Nashik. Here at Sandip Foundation's, SITRC, currently he is working as an Assistant Professor in the Department of Computer Engineering from last 8+ years. 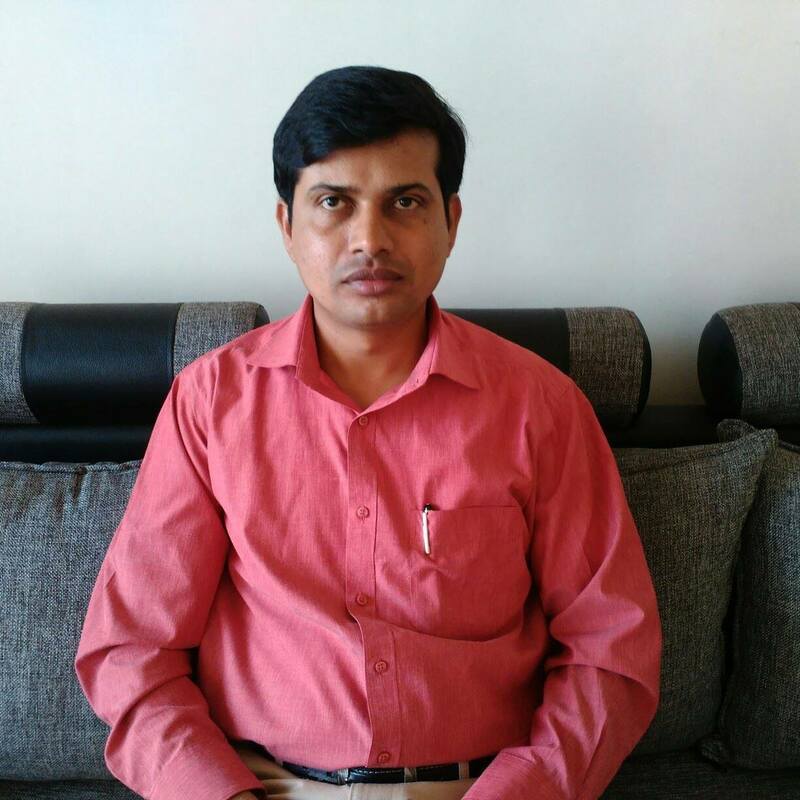 In the same journey in the teaching field he also completed his Masters Degree in Computer Science and Engineering from M.I.T, Aurangabad. Currently having 12+ years of in hand teaching as well as Industry experience, this dynamic personality has also made his name in many research publications like IEEE, Elsevier, etc. He submitted multiple research proposals to various Organizations such as SERB,CSIR, AICTE, BCUD, HCL Research Grant etc. He has also received Research Grant of Rs. 90,000/- from BCUD for Research Project. He has a keen interest in doing research in the domain of Parallel Processing - GPU Computing and Machine Learning. Above all Sandip is also a Principal Investigator for NVIDIA's CUDA Teaching Center and GPU Education Center at SITRC, Sandip Foundation, Nashik. He has tought subjects like C Programing, Object Oriented Programming, Data Structures, Advance Data Structures, Theory of Computation, Principles of Compiler Design, Principles of Modern Compiler Design, Design and Analysis of Algorithms, Discrete Mathematics, Distributed Operating Systems, Principles of Concurrent and Distributed Programming, CUDA Programming, Java Programming etc. He has conducted various seminars and workshops of C Programming, Data Structures implementation using C++ and JAVA. He has also been invited as a Judge for different Project Competitions in various organizations. He has also experience in handling portfolios like Departmental ISO Co-ordinator, Project Coordinator, Industry based Project Coordinator, also guided BE and ME projects. He has received an Award titled "Young IT Professional" from Computer Society of India, Delhi under Youth category. ©2012 Sandip Walunj. All Rights Reserved.